Parent FAQ Series: "I have the option to apply this year for grade 5, or next year for grade 6. What is the benefit of applying for grade 5?" We've had many parents ask this question when they attend our admissions events, and we are excited to explore the answer in depth! The transitional years in middle school, set between foundational learning in elementary school and subject mastery in high school, can sometimes be seen as the lost years of education. However, these are the years where independence truly develops and where students can prepare for future academic settings. 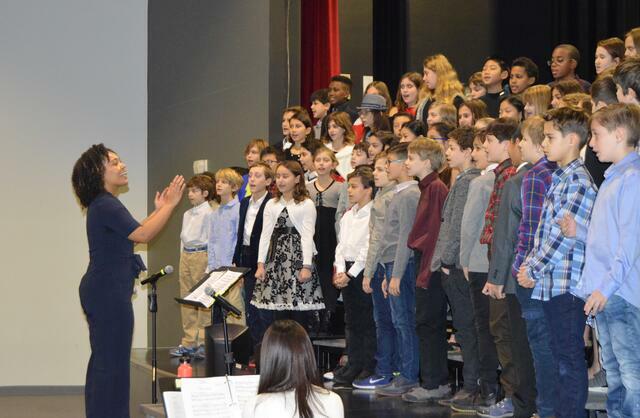 At BASIS Independent Brooklyn, our Middle School Program begins in grade 5. 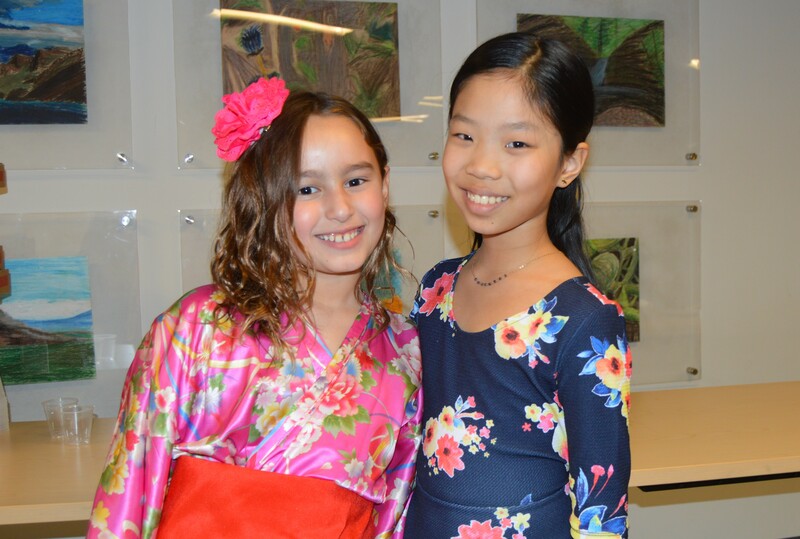 There are distinct advantages to transitioning your child directly into grade 5 versus waiting until a later grade, and those students who join us earlier often see tremendous success in our middle and high school programs. Because the intermediate years of middle school are critical, beginning as soon as possible is essential for a comfortable and easy transition. 1) Easier program assimilation. Beginning in grade 5 allows your child to adjust to rotating classes and utilizing lockers, as well as using Communication Journals (CJ). This grade is an entry grade at our campus, and all of our students are entering our community new at the same point. There are great opportunities to build connections with new classmates and teachers. 2) Exposure to curricular content. The BASIS Independent Middle School Program provides a liberal arts and sciences program with a STEM offering. Our program is specifically designed to lay the exciting foundation of deeper learning and connections. Students are exposed to a new curriculum and have the flexibility to build organization skills as well work and study habits. 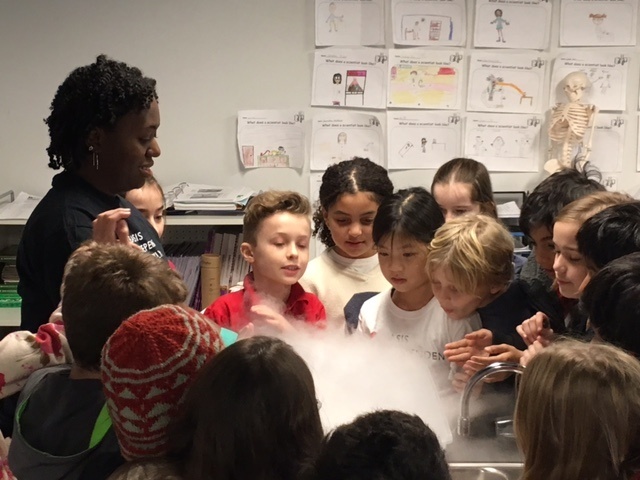 5th grade at BASIS Independent provides a connection to an elementary environment with exposure to middle school content taught by subject expert teachers for each discipline. Student also focus on science more than in past years with physicial geography in addition to a more comprehensive daily science class covering the fundmentals of biology, chemistry, and physics. 3) Exposure to Subject Expert Teachers. Our educators are deeply invested in every child’s success. The earlier students have the chance to lay down the groundwork for critical thought and application with a teacher who has deep content knowledge, the better. They will have more chance to build a trusting and supportive relationship with your child. 4) Additional year of Saxon Math. Starting in grade 5 allows students to transition even more seamlessly into Pre-Algebra or Algebra 1 in grade 6. Grade 5 is also where we begin to differentiate math and allow students to take classes with older students if ready for that challenge. 5) Early introduction to Latin. Students in grade 5 take Latin, which is required in grade 6. An extra year enables general language acquisition and helps students to have a more thorough understanding of the subject matter by the next year. Latin is a classical language and helps students in grades 5 and 5 with the sciences and developing critical thought. Our exceptional teaching staff and school administration will ensure that any transition your child makes into our curriculum, be it grade 5 or grade 6, is as smooth as possible! We offer extensive support for both parents and students according to their individual needs. BASIS Independent Brooklyn is a preschool –12 private school in Red Hook, Brooklyn. The deadline to submit an application for fall 2018 is January 24, 2018. To learn more about Admissions or to apply, please click here. Please reach out to Admissions via e-mail with any questions.